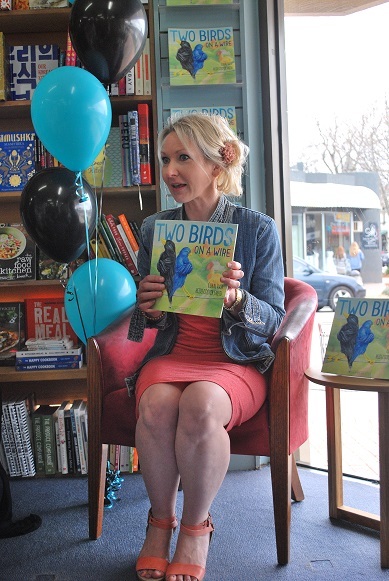 Our Two Birds took flight today, as illustrator, Heidi Cooper Smith and I celebrated the national launch of our latest children's picture book- Two Birds on a Wire, in Melbourne and Brisbane. 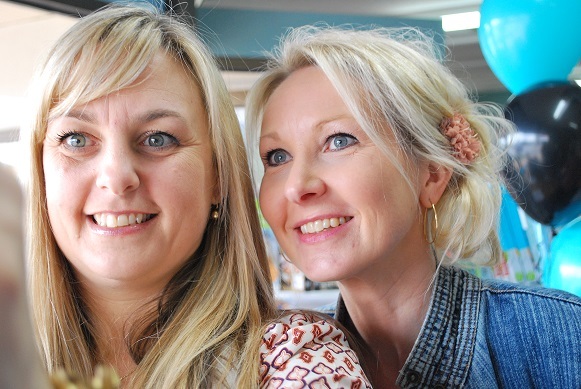 Celebrated author illustrator Nicky Johnston officiated the Melbourne launch, while award winning author Aleesah Darlison ran the proceedings in Brisbane with Heidi. 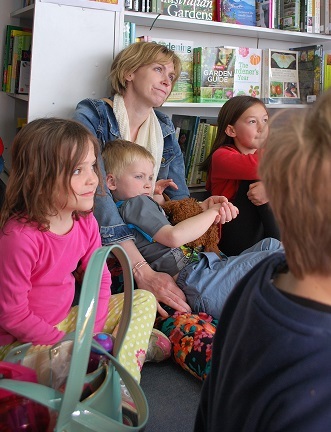 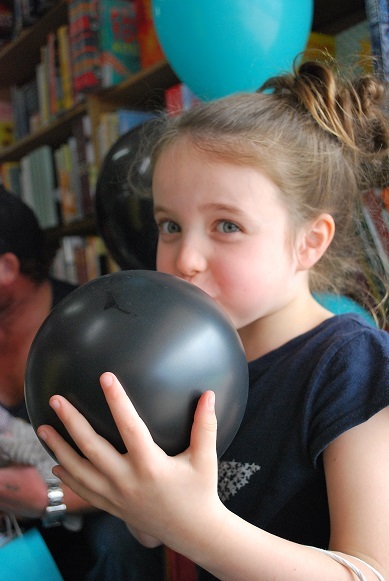 Fun was had by all with readings, craft, signing and goodie bags galore. 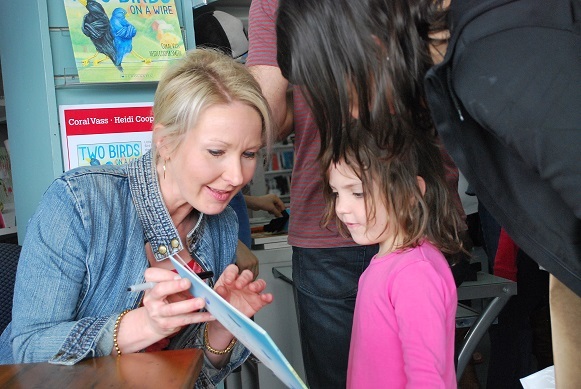 Heidi whipped out her pencils, showing some sketches and finished illustrations from the book, while I had two very special helpers (Little Bird Black and Little Bird Blue) tell the story with me in Melbourne. 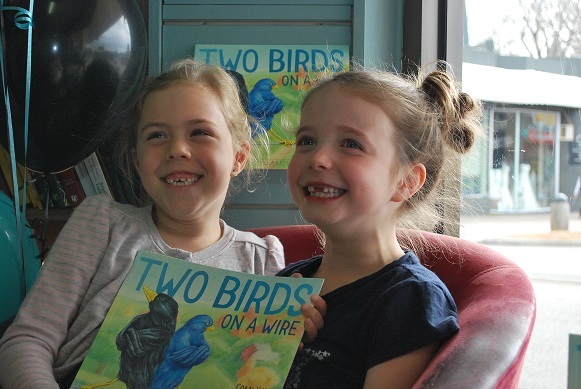 Feathers went flying and balloons were soaring as Two Birds On A Wire officially left the nest.